If tree houses had a special place in your childhood, get ready to fall in love with this treehouse elopement from Liza Lente Styling! From the cozy pre-ceremony cuddles in bed to the moody first look photos in the woods to the sunset canoe ride across the lake, Ilka van Wieren Photography did an incredible job capturing every nuance of this styled shoot. 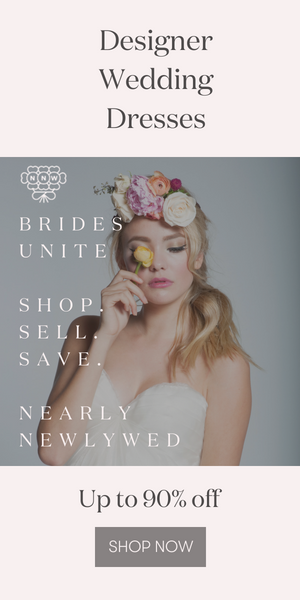 We’re also obsessed with the bride’s off-the-shoulder lace dress from Wild At Heart Bridal Boutique and the dried flower bouquet Raket & Distels created to match the vintage vibe. From the photographer: For us, the perfect intimate wedding day has to be an elopement where you can create the best adventure you can think of. So, this is the story of two people who are deeply in love and who want to get married while celebrating the simple outdoor life. The ingredients for every bride-to-be: Get your soon-to-be husband in a treehouse like this, just the two of you, have a slow and easy morning, see the sunrise, make fresh coffee, jump straight back to bed, cuddle each other (and your coffee cups), and enjoy the quiet surroundings of the woods. When you feel it’s time for a little action, go wander in the woods to find the perfect spot to say yes to each other and celebrate with an intimate dinner! What’s not to love? A big thanks to Liza Lente Styling for sharing this lovely treehouse elopement inspiration shoot with Junebug! If you want to see a real treehouse wedding for more dreamy inspiration, you’ve got to check out Daiane and Steven’s unique Atlanta treehouse wedding!